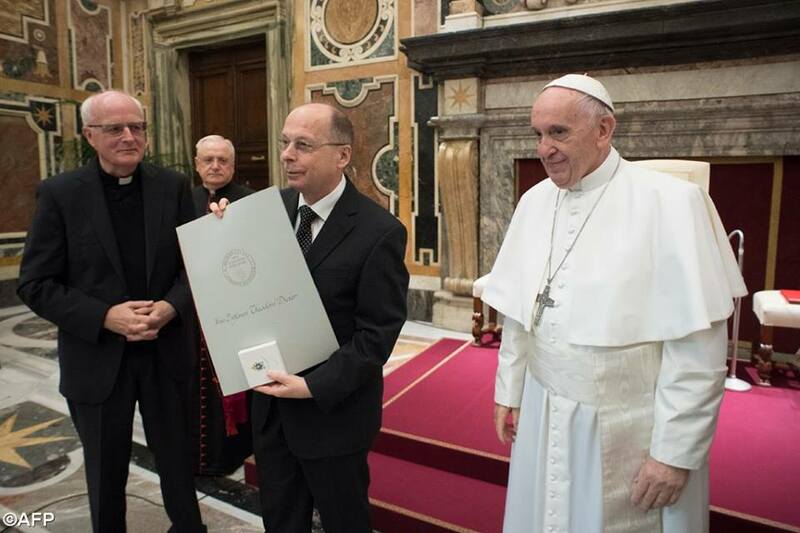 (Vatican Radio) Pope Francis received the recipients of the 2017 Ratzinger Prize in Theology on Saturday morning. Catholic Professor Karl-Heinz Menke of the Theological Faculty of the University of Bonn, Lutheran Professor Theodor Dieter of the Institute for Ecumenical Research in Strasbourg, and Orthodox composer Arvo Pärt, share the Prize this year, which Benedict XVI established in 2010 as the leading international award for research in Sacred Scripture, patristics, and fundamental theology. This year, therefore, marks the first time in which the Prize is given to someone not engaged in strictly theological endeavor. The Prize this year also had an ecumenical element.